Today Omkar Tech has come with Loot offer. The Loot offer is from Footware brand "Bata". 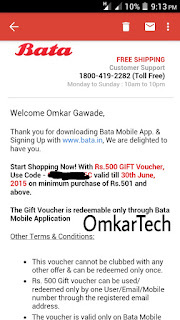 Bata is giving Free Gift Voucher worth Rs 500 for just downloading their official App. The voucher can be redeemed on amount greater than Rs 501. The voucher is only applicable on App. 2. Install the app and open. 3. Go through Sign Up process and complete it. 5. 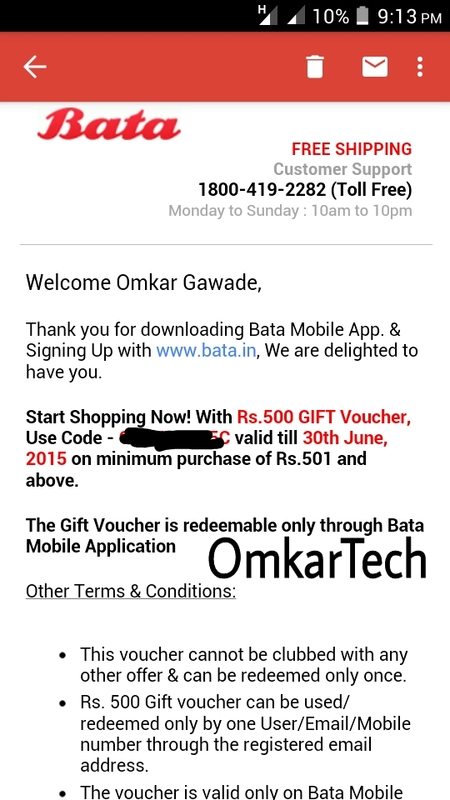 Redeem the voucher on the Bata app (Make a purchase of Rs. 501 or above and get instant Rs. 500 Off). 1. The voucher code can be redeemed only once. 2. Rs. 500 Gift voucher can be used/ redeemed only by one User/Email/Mobile number through the registered email address. 3. 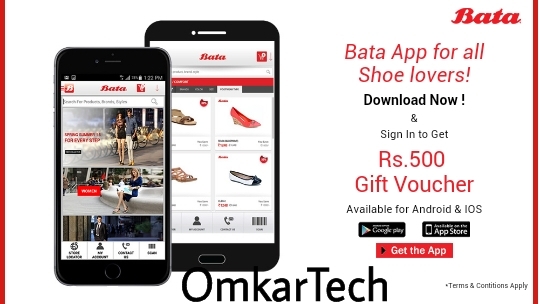 The voucher is only valid on Bata android app, not valid across Bata stores and Bata site. 4. Validity of the voucher is till 30th June 2015. The offer may be available for limited time so hurry up! !